I'm restoring a 1953 Hornet 3 speed manual transmission. We want to make a #92 Herb Thomas Fabulous Hudson Hornet tribute car. What color should I use? 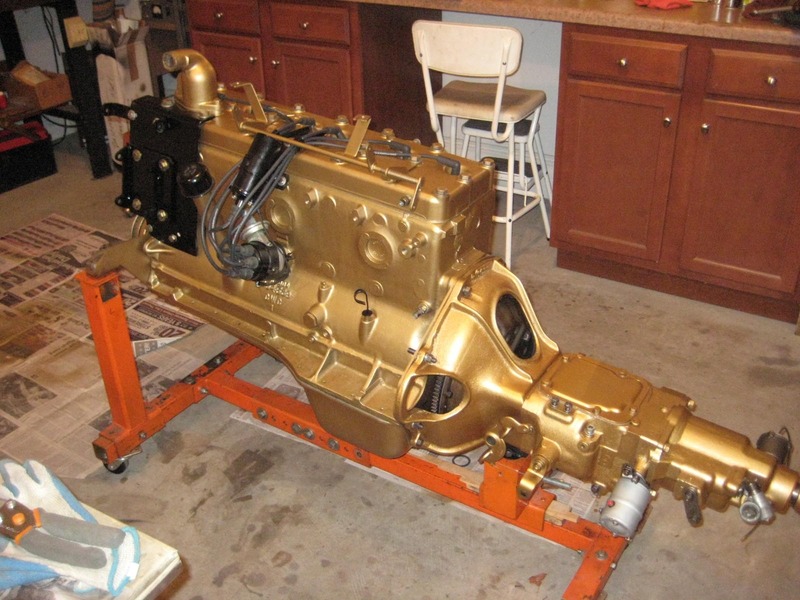 Not sure why the transmission would be any different from the standard gold for the Hornets '51-'54.